I decided to have some relaxing fun and this resulted. I think ship building has health benefits. How about some Romulans? 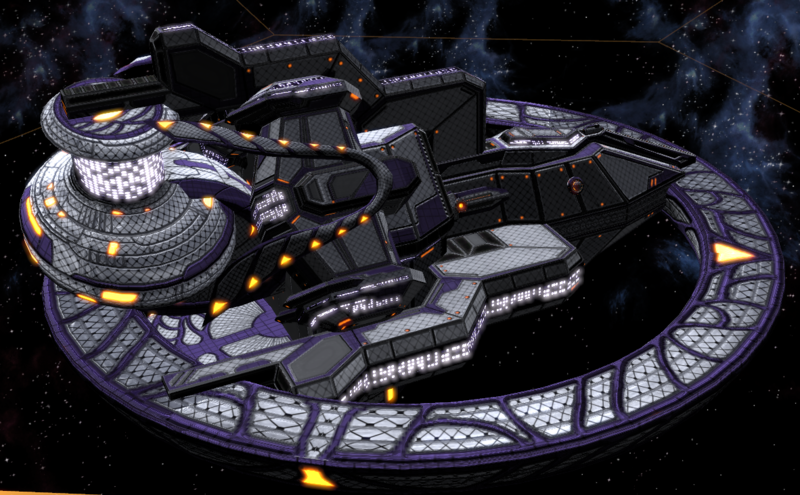 Here is my concept for a Romulan Warbird. Something a little more conventional. 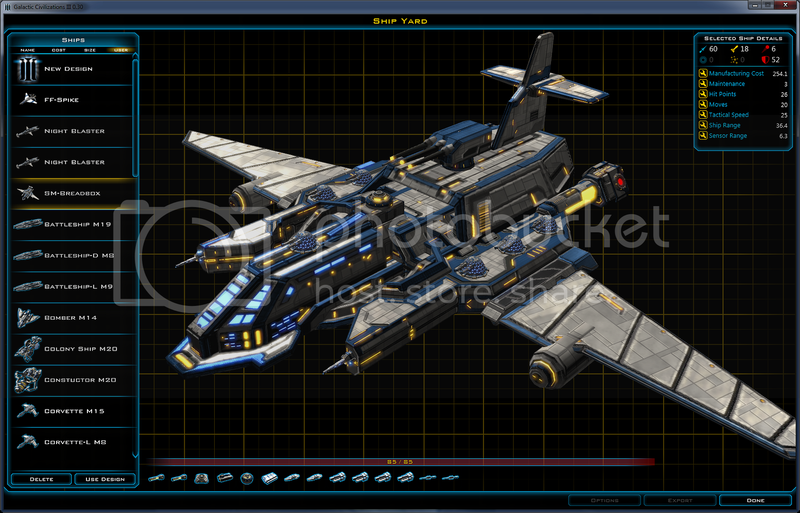 My concept of a Fleet Defense Fighter based on modern Jet combat fighters. I love that fighter, I would use that in the game. When we get tactical combat with combat screen I do plan to use it and have it stationed on Carriers. 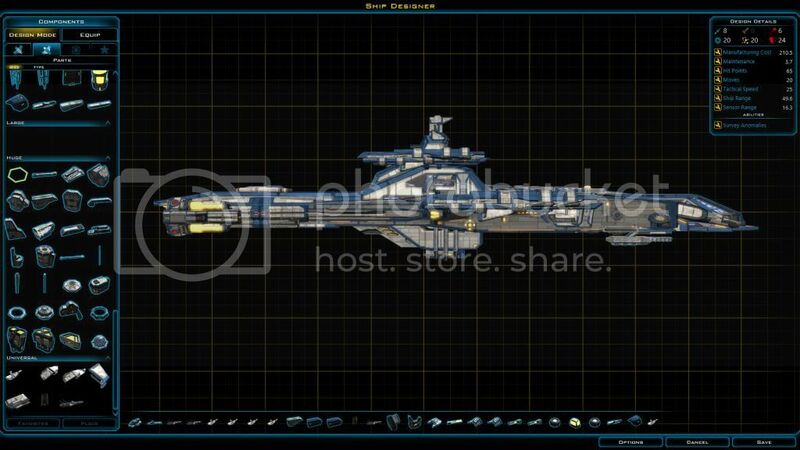 I have been wanting make a ship like this since starting GC. I am a big fan of Star Blazers and the Yamato. 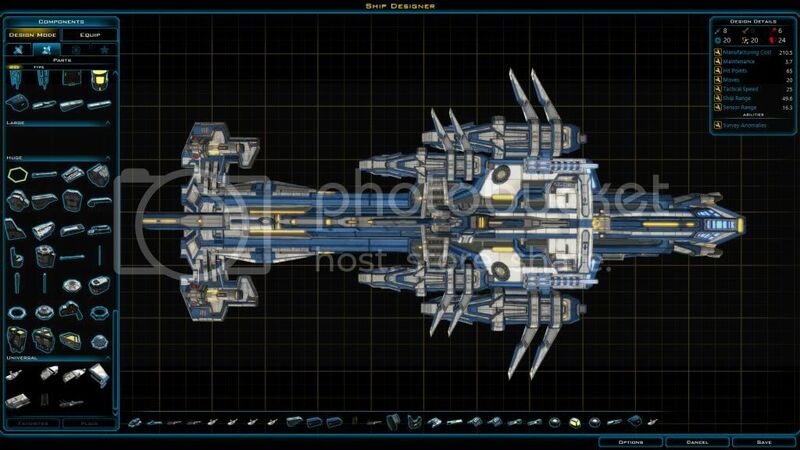 Rand she need some of your fighters to go in the future carrier module. Was playing around with the designer last night and did something I don't know how. When viewing the ship in the game it always flies backwards! I like the design but can't figure out how to fix this without changing the design... Sometimes a little knowledge can be very dangerous! This happens when you get confused and build it facing backward, On some parts it really hard to determine fore and aft once they are placed and you have hidden the starter block. A little tip: put a glowing yellow part on the front of your ships starting base hull. I have asked the Deve to bring back the function tool button that turns ship to face front. Thanks for that, it's what I figured I did. Once you hide that initial starting block and keep rotating and turning it What I want to be the front obviously didn't get rotated and therefore my 2 new ships are flying backwards! lol Good idea on setting up a reminder from the start. Not sure why it's an issue for me this time around as I didn't manage to do it with the first 7 ships I built in the last build... Yes, having a button that turns the ship to face front would be most helpful for me! Avatar... I have done that too. 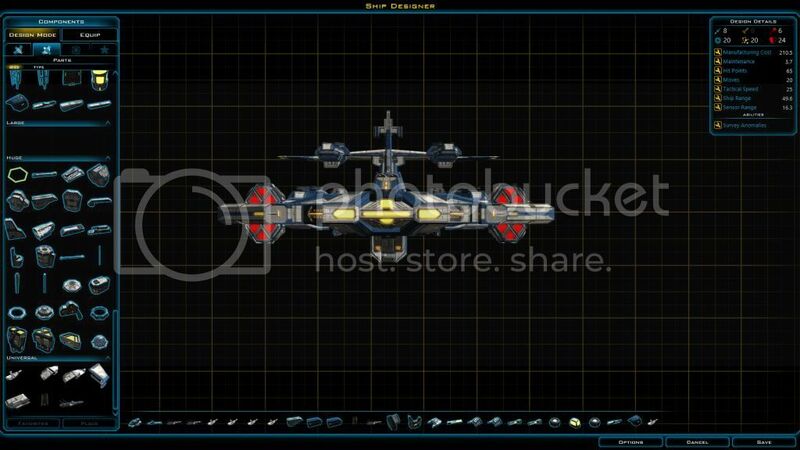 I had a few ships custom ships I built bass ackwards and didn't realize it until I played them on the map. Your in good company bro... LOL. LOL It's nice to have company! Okay, so here is my first posted design. There were some bugs related to flipping and exported objects (which I posted here), and so this isn't exactly what I made, but I got it back to where it was, more or less. 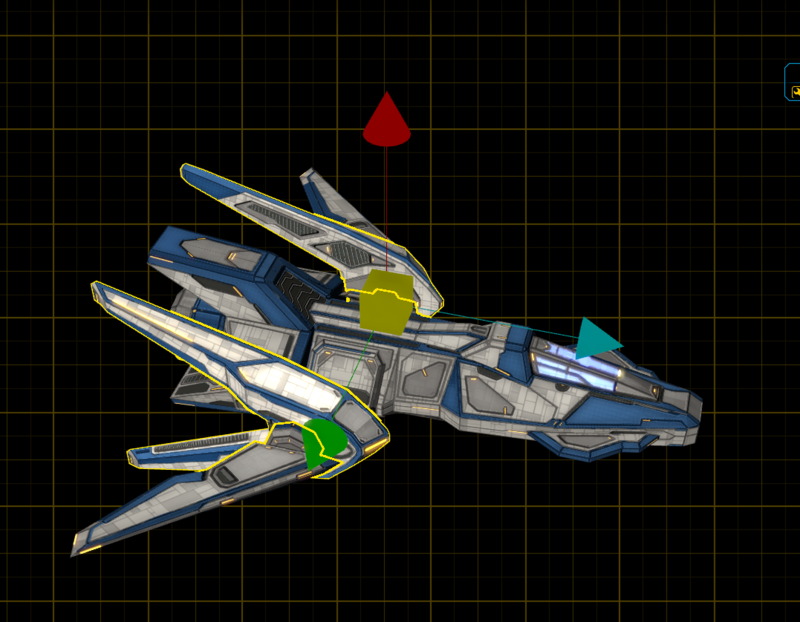 Essentially, the little wing components were angled forward instead of backward, and some panel details (which I had grouped) were distorted (components moved from offset position). 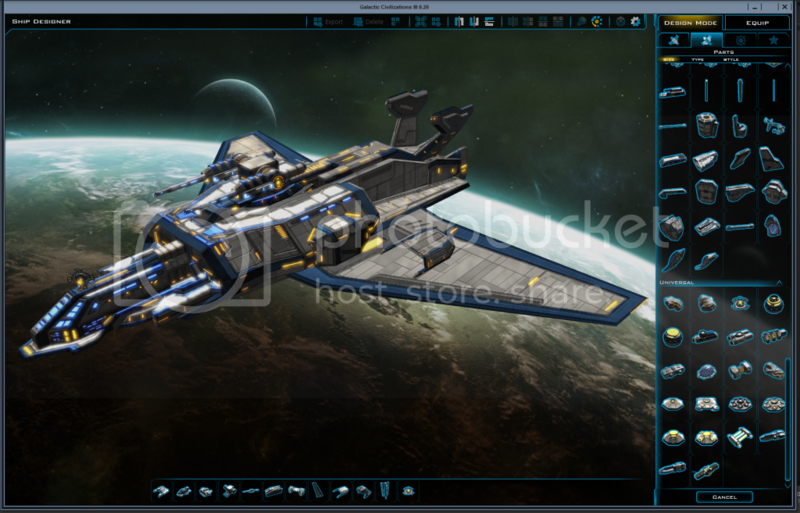 Anyhow, I'm loving the ship designer! Trump, That is some serious ship building. One of the best original designs I've seen yet here. Good Job! 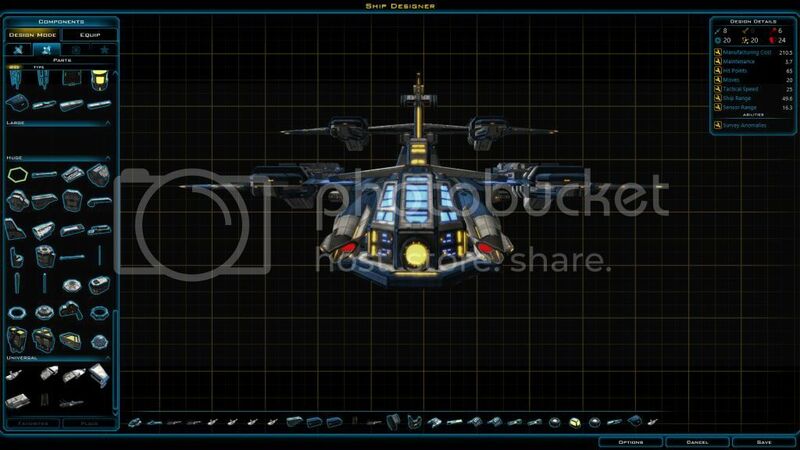 Yes, trumpeter87, that is one cool looking ship. If you go into the options and enable the design gizmo, the arrows for size will always point you in the correct direction. Thanks ZubaZ, I hate to admit this but I did have that enabled and a lot of good it did me! lol I'll be trying to pay more attention to that sort of thing from now on. Thanks again for the tip. 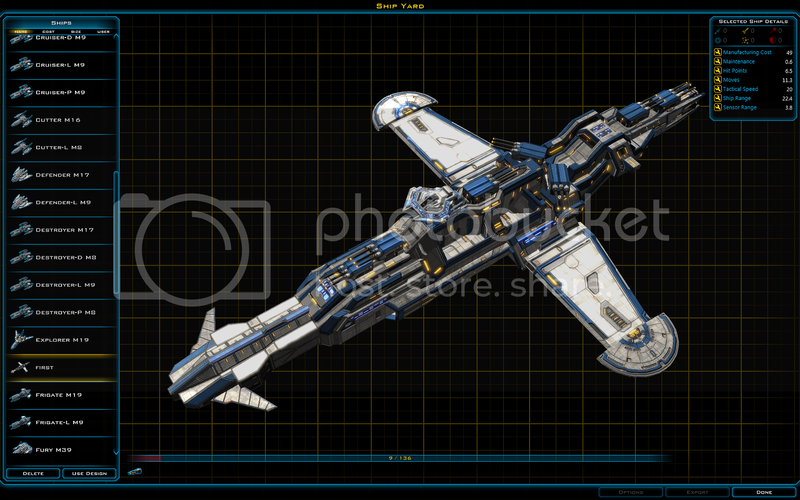 Anyone want to try a Firefly-class a.k.a. Serenity? I don't have the alpha and limited internet so. on the backward ships could you not select the first part and rotate it 180 to fix? 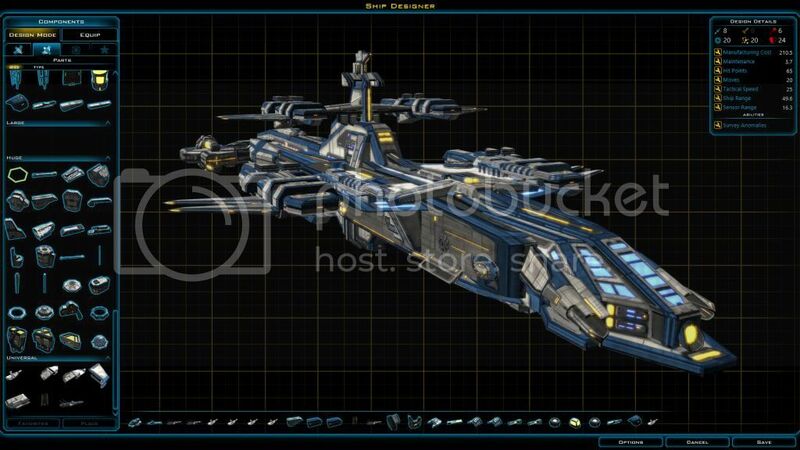 sorry new at this the above picture and this one screenshots of my first Deilf class Frigate.